Want to see sample pages from Gender Now? The kids of the gender team are ready to show you the way, are you ready to color, learn, and play? Inside you’ll find stories, pictures, games and more to encourage and remind you that you are free to be! Gender is something relevant to all of us because we all express gender. You may or may not be transgender. You may or may not know a transgender child. The truth is that doesn’t matter. We are all on this planet together. GENDER NOW is meant to provide reflection and support unity by showing multiple genders standing together. It is a specific opportunity to create balance and awareness by including gender expressions that are under-represented in our current culture. Also available in a School Edition Activity Book. Need help deciding which version (original coloring book or school edition) to purchase? Check out the FAQs tab above. **Note to Parents/Teachers: Know your comfort zone. To make the most powerful, informative, and body-positive coloring book, children in the original coloring book are shown at times with no clothes. 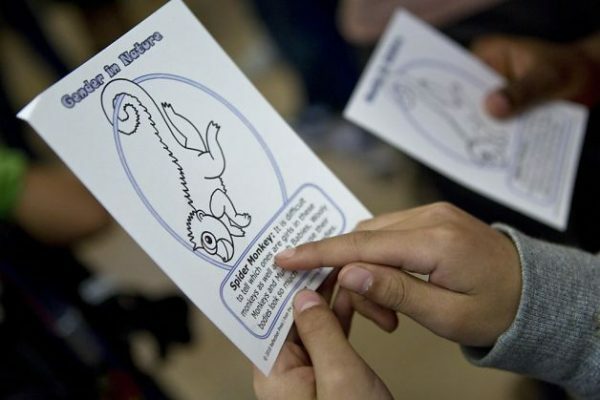 We believe that children are very curious about their bodies and wish to support children in feeling empowered in themselves thereby reducing (and eventually eliminating) any shame attached to having a body that may be different than what is considered “normal” for a boy or girl. We feel that informed children are empowered children. If you do not feel comfortable talking to your children about bodies (all different kinds) this coloring book may not be for you. You may wish to instead purchase the school edition activity book. Although we do encourage you to consider stretching just a little beyond your comfort zone and growing along with your child. So the Gender Now coloring and activity books are really just for transgender children or adults? Absolutely not, everyone can benefit from an exploration of gender and our expectations, beliefs, and judgements around it. I don’t feel comfortable sharing such a complicated topic with my child. Isn’t this a little too old for a three year old (four year old, five,…) ? A topic such as gender is often only as complicated as we make it. However, everyone has their own comfort level. While some parents may see this as too "old" for their child, other parents may see it as a godsend for a struggling child longing for reflection and validation. The important thing is that you do what is best for you and your situation. However, we do want to express that often what we think may be difficult for a child to understand is surprisingly much easier for them to accept. Children are naturally accepting of difference, it is often the adults who have to unlearn the judgements and restrictions around gender. Discussion around gender can often bring up a lot for people. It is normal to be uncomfortable at times as we are stretching our minds and expanding beyond our comfort zone. Yet, this provides us with an opportunity to examine our own judgements and limitations around gender and be present with ourselves. The more presence you bring to your beliefs around gender the more you are able to sift through what you have been taught in order to uncover your own knowing. It is never too late to open your mind and it is never too early to help keep a child’s mind open to all the many ways to be in this world. Which version should I buy, the original Coloring Book or the School Edition? 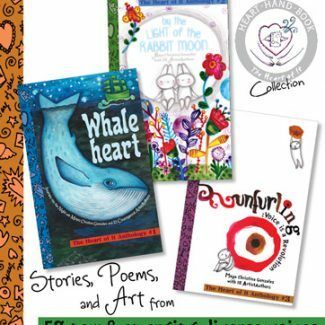 The original Coloring Book was specifically designed to be a joint exploration for parent and child, (therapist and child, or other supportive adult and child) to take together to learn about gender and bodies. It was purposely done this way in order to provide the most support and a more full understanding of gender expression and identity in a one-on-one or similarly intimate setting. 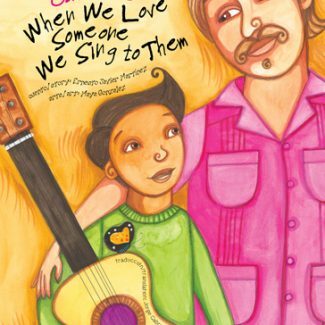 With the understanding that a parent, therapist, or other supportive adult would be involved with a child as they explored the coloring book, it opens and closes with adult support and specifically shows and discusses various bodies in relation to gender expression. Thus bodies are shown at times in their natural state. Our first priority was offering support to those children in the most need of positive reflection. 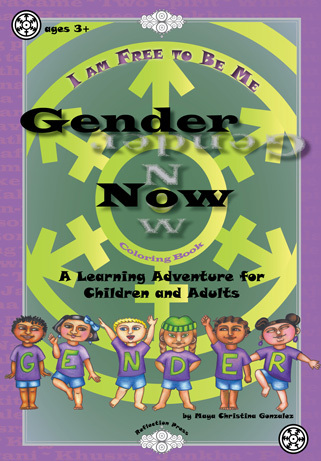 Our School Edition was written more for a child’s individual journey through gender. Although again, preferably under the guide of a teacher or supportive adult who can serve as a model and container for learning. Therefore to adhere to the public school environment, all the children in the school edition are clothed. We also included some additional activities in this edition in order to more fully ground the information presented.